Girl is NOT a 4 Letter Word: Poppy Starr Olsen Included In Forbes "Women In Sports To Watch In 2017". Poppy Starr Olsen Included In Forbes "Women In Sports To Watch In 2017". What a great way to start off 2017! 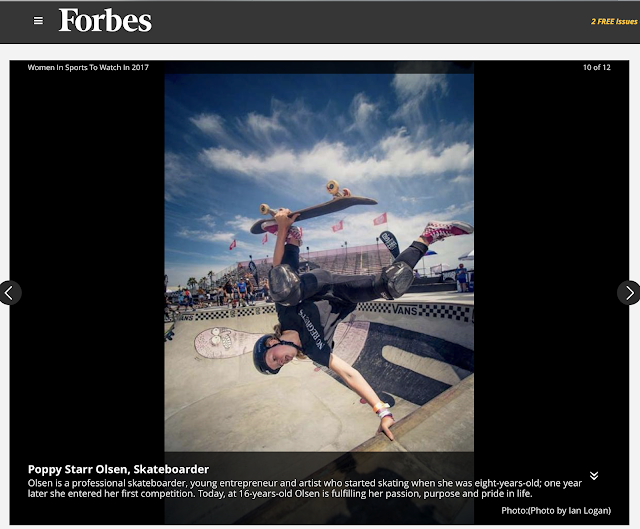 Team rider Poppy Starr Olsen is featured on Forbes today as one of 12 "Women To Watch in Sports in 2017". She's in amazing company - other notable sports icons include; ESPN's Jemele Hill, Isha Johansen -President of the Sierra Leone Football Association, Terri Hines - Executive VP of Fox Sports, Dr. Deborah Antoine - CEO of Women's Sports Foundation, and more!